This has an extra earpiece known commonly known as a "mother in law earpiece". 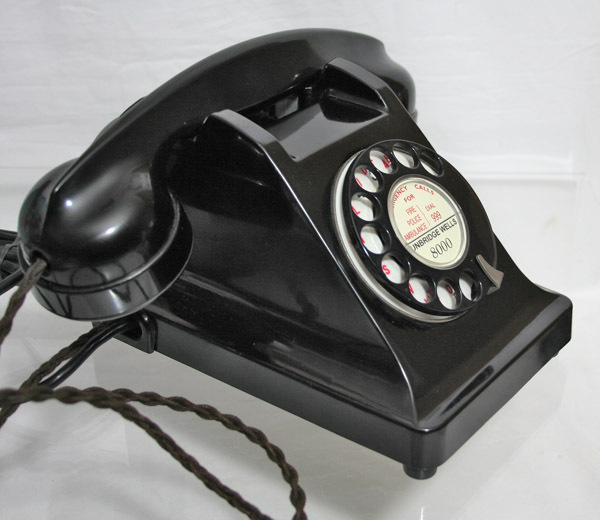 This is the standard Bakelite model used in France in the 1940s-50s. 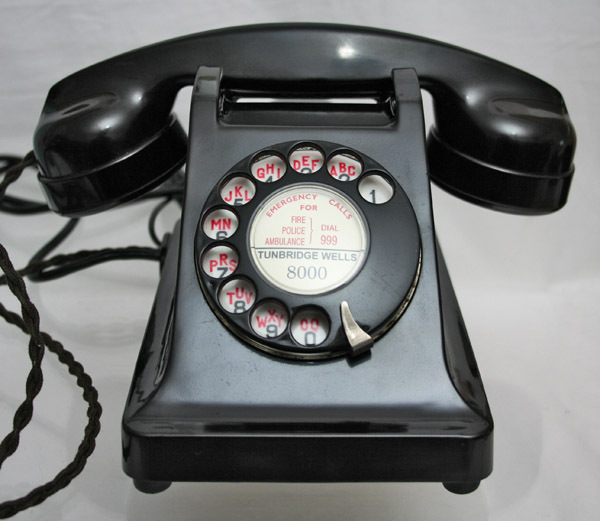 I have used a GPO finger dial do allow the use of a GPO style label and it is fitted with a small internal bell. If you need it to be loud I would suggest you purchase a wall mounted BT 50E to go with it. 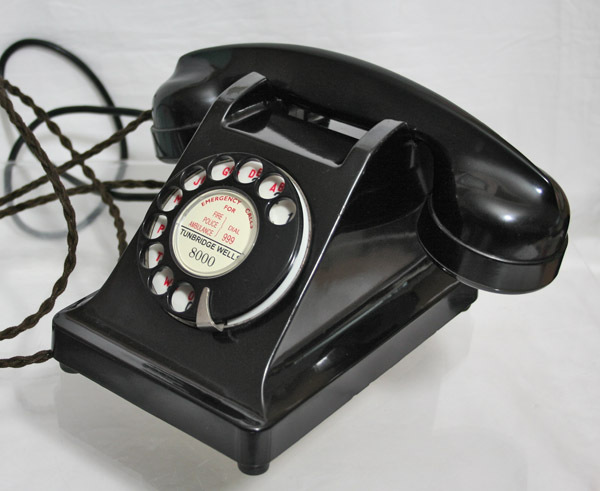 The handset cord is braided but is thinner than the GPO type. The rear ear piece is connected via round plastic lead. 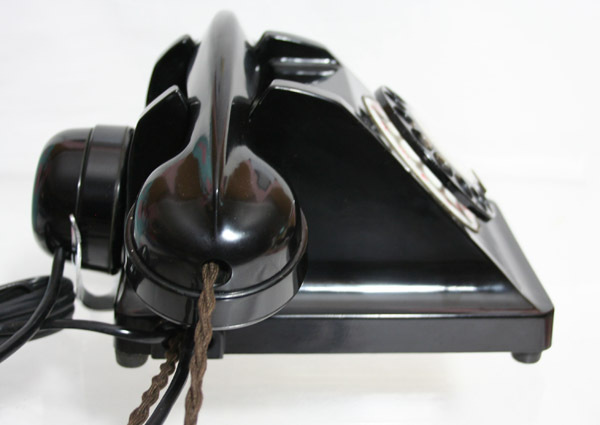 This has been fitted with an electronic microphone to allow very good speech quality. The extra ear piece is actually a very useful item and is ideal in a noisy environment to enable you to block out the outside sounds and allow full hearing. I can make a dial label with your information at no extra cost.